This week of events will launch new ways of working for the Start Network by providing the space to make bold decisions which will shape the future of the Network’s contribution to humanitarian response. In February 2014 The Start Network member agencies agreed a collective vision that will shape a humanitarian system which is diverse, decentralised and collaborative. Since then, the consortium has secured up to £56 million of funding to design and develop its work. This week brings key influencers, decision makers and stakeholders together to make the decisions which will start to realise the vision. The focus of the week will be on the growth of the Start Network over the next year. The week is kindly hosted by Freshfields Bruckhaus Deringer. When Event Title Event Description Who will be attending? 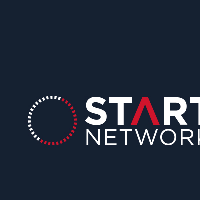 9 June10:00 - 17:00 Start Network General Assembly Establishing The Start Network’s first General Assembly of member agencies to embed the agreed new governance structure and set priorities for the week ahead. This event will be attended by senior representatives of the 19 Start Network members (current Board members). - The role of the Start Network in supporting decentralised funding mechanisms. Everyone will then be invited to join the evening public debate as hosts. 11 Junefrom 18:30 Public Debate: ‘Future of NGOs’ The second public event in the Start Network ‘Future of NGOs’ series, focussing on the business model for humanitarian action. Ignite presentations and leading speakers will create a challenging, interactive and energetic environment for the ensuing discussion. This event is open to all. Sign up here. Please note, joining papers will be sent to attendees two weeks prior to the event.